Black Spots On Maple Leaves, What Is The Cause? Home Garden News Black Spots On Maple Leaves, What Is The Cause? Black spots on maple leaves are the concern of many planters. Usually, spots on this maple appear in the spring as small spots, and over time the spots become large and even half the leaf area. At a glance, the maple leaves have been flushed with tar spots. What is the Cause of Maple Leaf Black Spots? To treat and eliminate black spots, of course we must understand the cause first. The tar spot or black spot is caused by Rhytisma Aacerium fungus. This fungus is dangerous for maple trees such as silver maple, sugar maple, Norway maple, red maple. Usually, shade and indirectly exposed maple trees are more at risk for the fungus. In many cases that occur in maples, these black spots do not attack trees, but making maple leaves must fall prematurely. If your maple is famous for its beauty because of its beautiful leaves, then this fungus will damage the beauty and make maple trees become bald. Are there Drugs to Treat Black Spot? 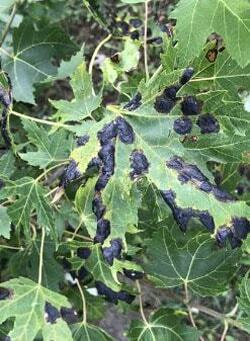 The black spot of maple leaves can be sprayed with fungicides, but many do not succeed. The most effective way is to collect fallen leaves and destroy them. This action can minimize fungal spores to infect the following spring. But there is also a gap, if only one leaf containing the fungus is not destroyed then the fungus will easily move to another leaf in your maple tree. Some say that the maple leaves are collected and made into compost. This is true, but the process of burning the compost must be thoroughly cooked so that no spores from the fungus survive. However, you don’t need to worry about this. 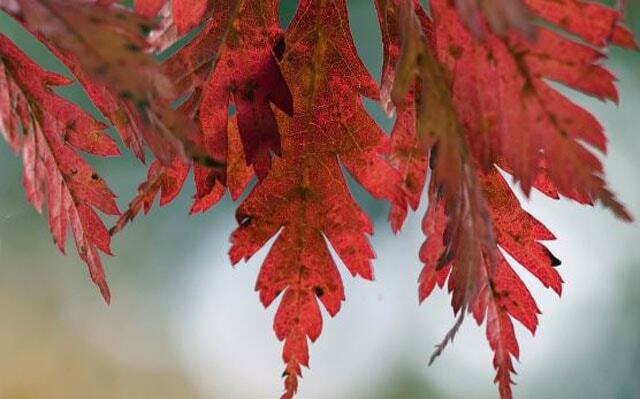 Just do your efforts to collect all the fallen maple leaves and plant them in the soil. About 3 months you can take it as compost. If your maple tree is still small, of course you don’t have to bother collecting it. Is there nothing else that can be done? If your neighbor’s maple tree is also infected with this fungus, the risk of damage to your plants is getting bigger. The thing you can do is tell your neighbors what you have read. So, they will also work as you to collect fallen maple leaves.